“When chivalry was still alive … flowers and poems were the only gifts exchanged by lovers... Every bouquet and garland was carefully composed according to its legendary meaning. Joy and grief, triumph and woe, admiration and gratitude, love and desire, every human sentiment had its floral emblem.” Folklore and Symbolism of Flowers, Plants and Trees, Ernst & Johanna Lehner, 1960. 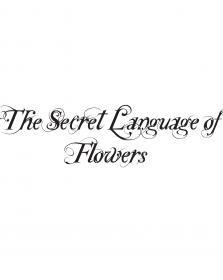 Andipa Contemporary is proud to present The Secret Language of Flowers, the first of a series of annual group exhibitions, showcasing the work of eight emerging artists with their own fresh and contemporary take on the age-old motif of the flower and its meaning in art and life today. The show coincides with the biggest international celebration of the flower: The Chelsea Flower Show, taking place a stone’s throw from the gallery. Beginning with the very first still-life drawings, to Banksy’s Flower Thrower, the pop artist Andy Warhol’s early silkscreens of daisies and hibiscus blossoms and Lichtenstein’s Water Lilies, flowers have never ceased to seduce the artist with their delicacy, their transience and their riotous colour. of pain and grief. The artists in this exhibition have used flowers, infinite in their formal and symbolic potential, to express the relationship between art and life, nature and culture, beauty and consumption, survival and adaptation. Constructed from atypical materials such as foreign currency, lace, bone ash and wax, artworks in The Secret Language of Flowers subvert the decorative function of flowers in art. Some of the artists comment on flowers as a stock subject or cliché, others explore the extent to which Nature’s unrestrained blooms are expressive of culture as a civilising force and others celebrate the beauty and power of natural colour. We are also proud to announce that the internationally renowned performance artist Lynn Lu will be performing a piece conceived in response to The Secret Language of Flowers and specially commissioned by Andipa Contemporary. Lynn Lu has most recently performed in the Turbine Hall at Tate Modern, Mushashino Art University, Tokyo and Turbine Hall, Giswil, Switzerland. Hailed as the father of colour photography, his ability to find beauty in the banal has changed the way we look.